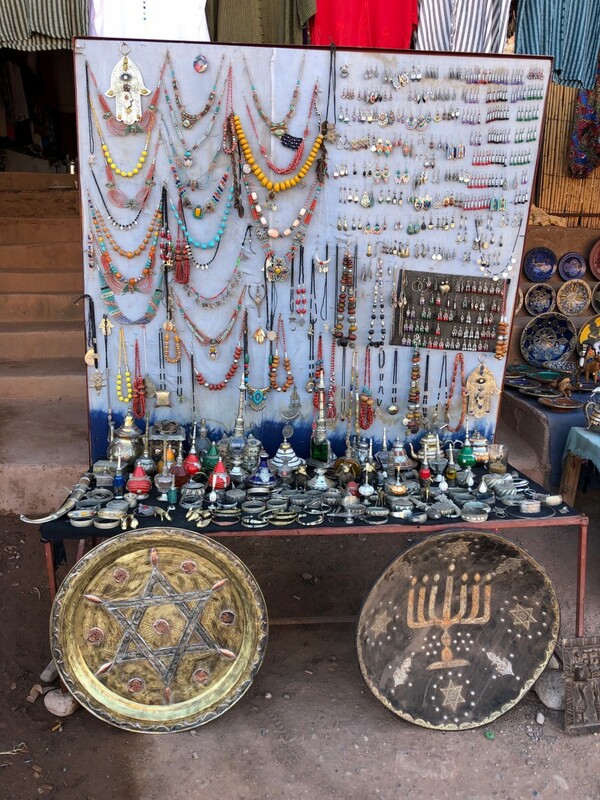 This Jan. 16, 2019, photo shows platters adorned with a menorah and Jewish stars in an outdoor stall near Ksar of Ait-Ben-Haddou in southern Morocco. 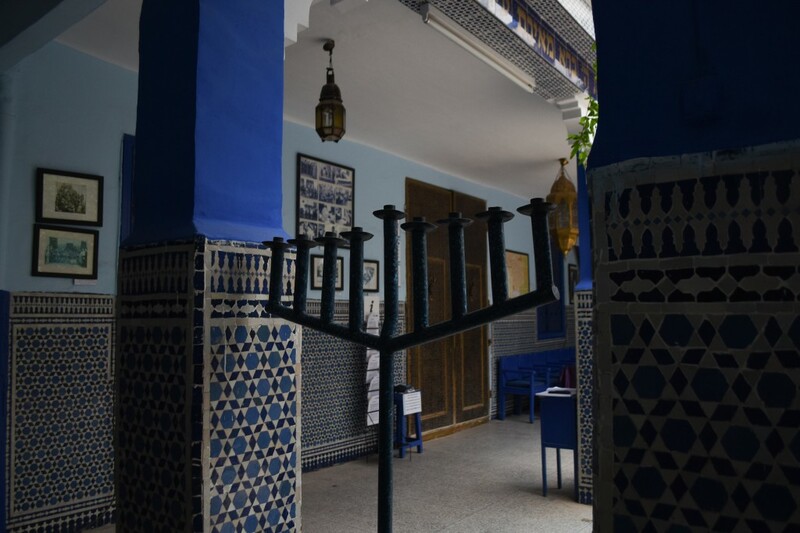 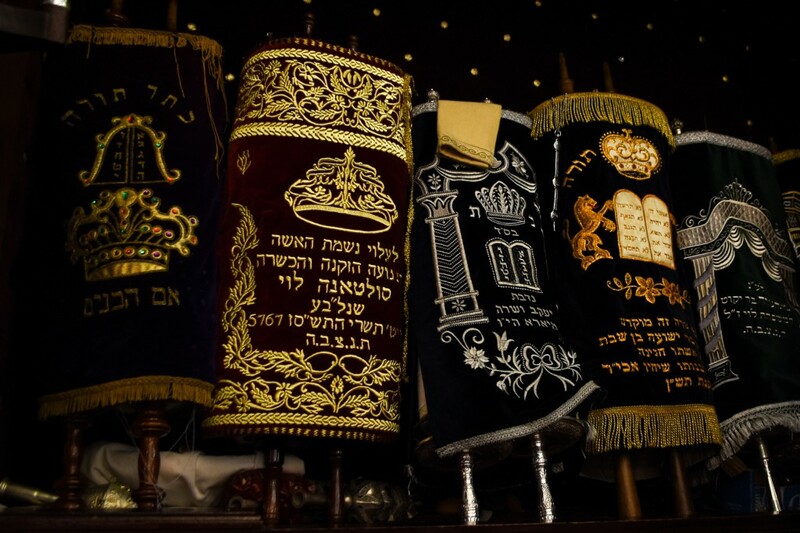 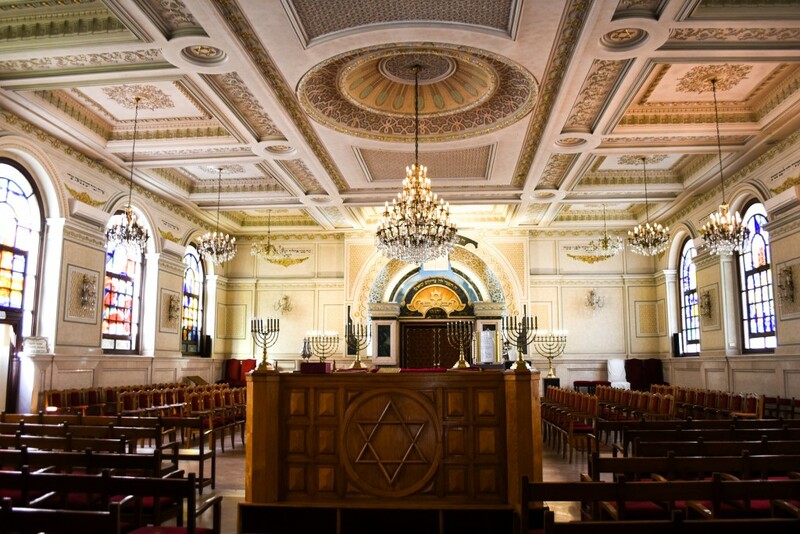 This March 29, 2019, photo shows a menorah at Lazama Synagogue in Marrakech, Morocco. 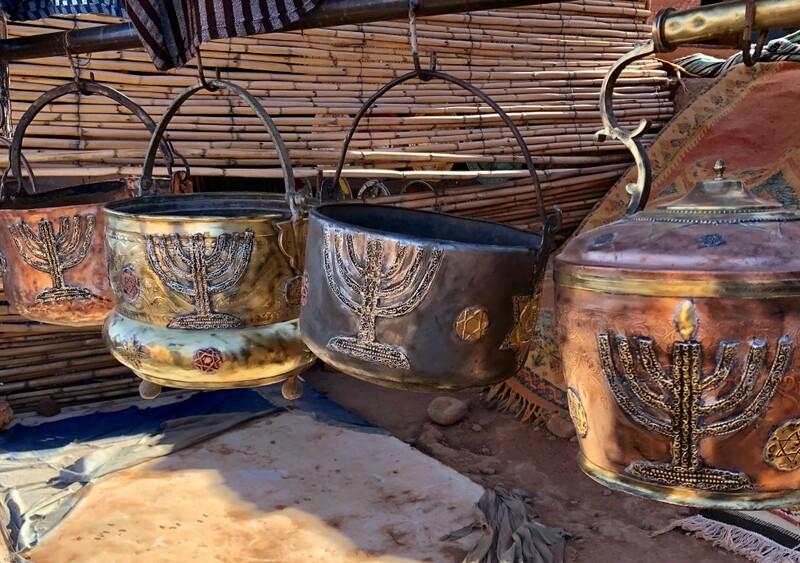 The North African kingdom once had a thriving Jewish population.